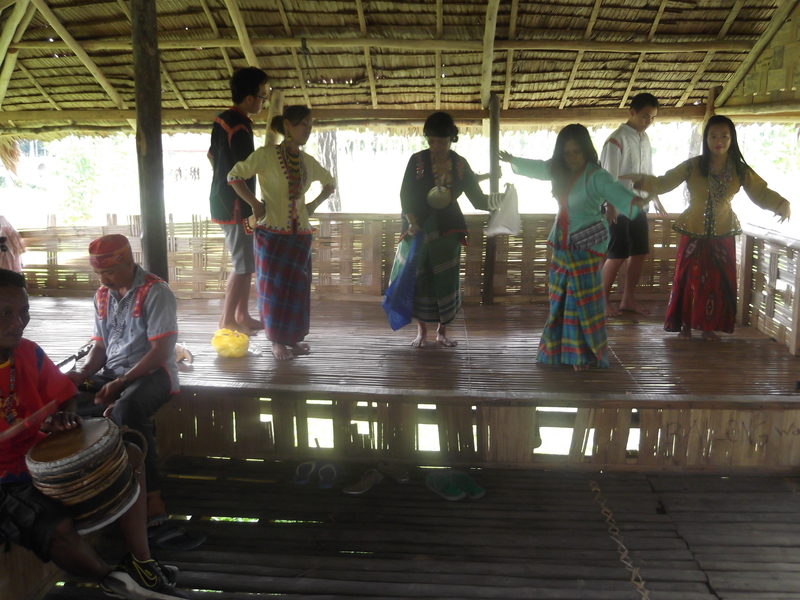 I was in the Philippines from July 18 to August 4, 2013, to do my field research on Mansaka music in Tagum City, Davao del Norte, in preparation for my dissertation. My objectives were to interview musicians about their culture and traditions, and to record Mansaka songs, music, and dance. But I was surprised to learn that a protocol has to be followed in order for me to do research. Supposedly I had to meet the National Commission for Indigenous Peoples (NCIP) and The Department of Interior and Local Government (DILG), and had to secure a Free and Prior Inform Consent (FPIC) to gain access for my research. Usually the process takes about three months and there is no guarantee they would permit me to do my research in the tribal community. So I went to see the newly elected mayor of Tagum City, Mayor Allan Rellon, to ask his help. He was very supportive and immediately called Honorable Datu Rudy (Kimud) Onlos (Tribal Chieftain, Tagum City Federation of Barangay Tribal Council) to allow and assist me in my research. Mayor Rellon believed that my research would benefit their tribal community as well. Also, my classmate in high school, Dr. Janet Veloso, who is now a Division Supervisor of the Department of Education, Davao Region, helped me to negotiate with Mayor Rellon and Datu Onlos, with whom she is close friends. If not for Dr. Veloso, I would have had a hard time doing my research. It was an overwhelming experience. They accepted me not only to do the research, but deeper than that, they accepted me as their family member. So whenever I go back to Tagum, I can visit them anytime. After the ritual I was allowed to start my research. For my safety, Dr. Veloso gave me a bodyguard to accompany me during my entire stay in Tagum. In my research I was able to do the following: Interview Datu Onlos and Datu Aguido Sucnaan (baylan – tribal high priest of Tagum City, Cultural Master and Chieftain of Barangay Mapandan) about their music, culture, and tradition; visit a Mansaka community at Barangay Pandapan; record some of the Mansaka songs, music, and dance performed by Mansaka Cultural Masters; dine and drink wine (made by Datu Onlos) with them; dance with them; and most gratifying of all, learn to play the gimbal and agung and perform with their ensemble. The Mansaka tribe does not record or notate their music. They were kind and generous enough to perform different songs, dances, rituals, and ceremonies for me to record and transcribe. The Mansaka is an ethnic group found in the southern part of the Philippines, particularly in the provinces of Davao del Norte and Compostela Valley. According to Datu Onlos, the Mansaka, Mandaya, and Kalagan (or Kagan) tribes used to be a single tribe. However, they became divided – some went up to the mountains (Mansaka), some to the upper portion of the river (Mandaya), and some stayed in the seashore or riverside (Kalagan). The Kalagan tribe is divided into two. Half of the group followed the Muslim faith, while the other half retained their traditional faith. The term “Mansaka” derives from “man” meaning “first” and “saka” meaning “to ascend,” so Mansaka means “the first people to ascend the mountains or go upstream.” Farming is their primary source of living. 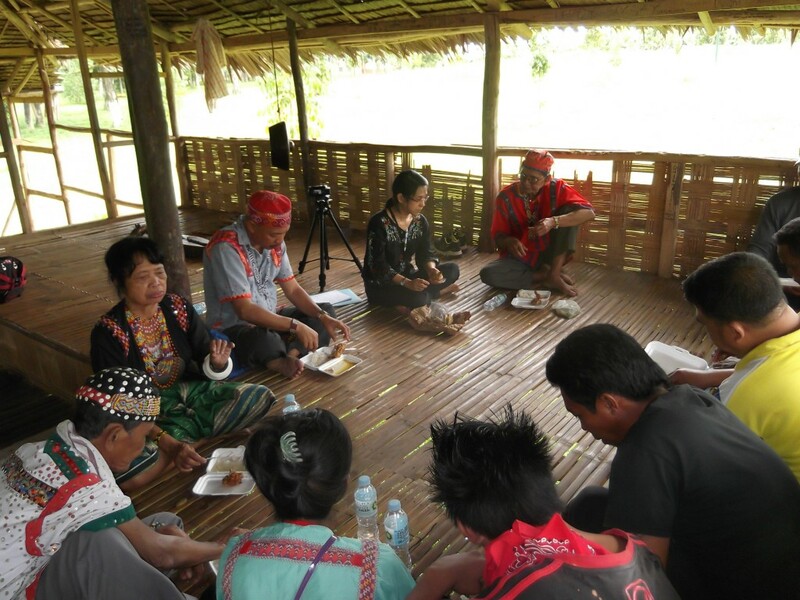 According to Datu Onlos, the first generation of Mansaka was not open to new development. They wanted to protect their culture and tradition, and going up to the mountain was their way of protecting the community. Datu Onlos also mentioned that they believe in the God called Magbabaya. They also believe in the Holy Trinity – the Father, the Son, and the Holy Spirit (diwata), and Jesus Christ being the tamisa na anak ng Magbabaya (“the only Son of God”). Mansaka instruments consist of the following: gimbal (double-headed drum made of deer skin); kubing (jaw’s harp); agung (wide-rimmed, vertically suspended gong); kulintang (row of eight small, horizontally-laid gongs); lantoy (mouth bamboo flute); parundag (mouth or nose bamboo flute, bigger than lantoy); and kudlong (two-stringed instrument, which resembles the Muslim kudyapi, where one string functions as a drone while the other string plays the melody). There are three different kinds of kudlong depending on the number of frets: Kyagan (five frets); Panganduan (seven or eight frets); and Binudyaan (thirteen frets). The more frets, the larger the instrument is. If two kudlongs are played together, it is known as bandayon. While the beginner kulintang player uses a two- or three-gong kulintang, the advanced player uses a five- to eight-gong kulintang. Usually the instruments are played in pairs. For example, the gimbal and agung are played together, particularly for prayer/ritual on Pagtabi; and the kudlong and lantoy or parundag are also played together. The kudlong or any of the bamboo flutes can also be played as solo instruments. The instrumental ensemble consists of gimbal, kulintang (usually from 3 to 8 gongs), and agung. I found out also that two to three players may play on one agung – playing the boss, edge, and rim, creating different colors. The instrumentation varies depending on the ceremony or occasion. Ideally, a bigger ensemble is usually used for a big celebration such as the harvest and wedding ceremonies, while a smaller ensemble is usually for solemn ceremonies such as a healing ceremony and acceptance ritual. A solo instrument – kudlong is usually played for courtship. When a Mansaka engages in dancing, the hand and eye movements convey certain meanings. Usually it is a gesture of prayer. A dance for prayer or ritual is called Binalyan – communicating to Magbabaya (God). Datu Sucnaan stated that “According to our ancestors, God finds pleasure when you dance.” Sometimes the dancers imitate the movements of the bird called “kabuwa,” in which the dance step is called “kinabuwa.” This bird usually appears during summertime. The Mansaka learn their music through their dead ancestors, who appear to them in a sacred place in Masara Mountain called “Pula,” where only the Mansaka are allowed. Non-Mansaka people are prohibited from going, to keep them away from trouble and sickness. According to Datu Onlos, they hear different kinds of music and instruments in the sacred place. The chosen ones, or what they call the cultural masters, learn their music by listening to the performance of their dead ancestors, who appear to them in human form, and they imitate the melody and rhythm. This may sound strange, but is fact. 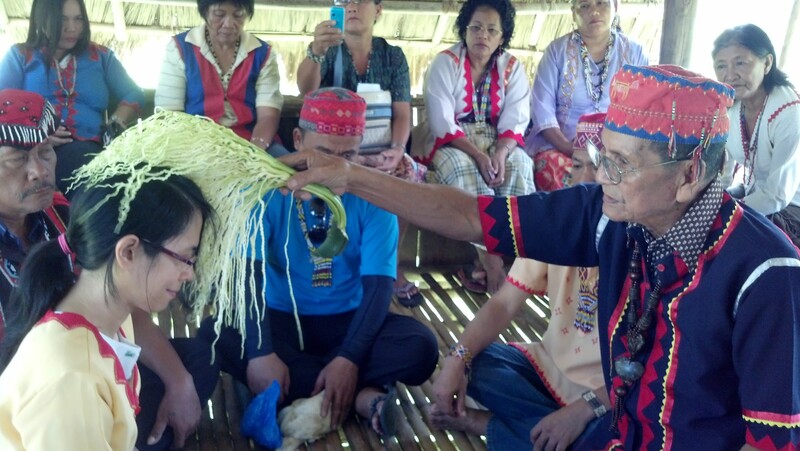 Datu Onlos himself actually sees and talks to his dead ancestors when playing kudlong in their sacred place. Thus, each of the cultural masters has their own specific music. Until the present time, that was their method of learning music. But of course the cultural masters teach the music aurally to the younger ones. However, if a cultural master notices that the young one doesn’t have an interest, he will not force him. Mansaka don’t have a method of notation but rather they play by ear and imitation. 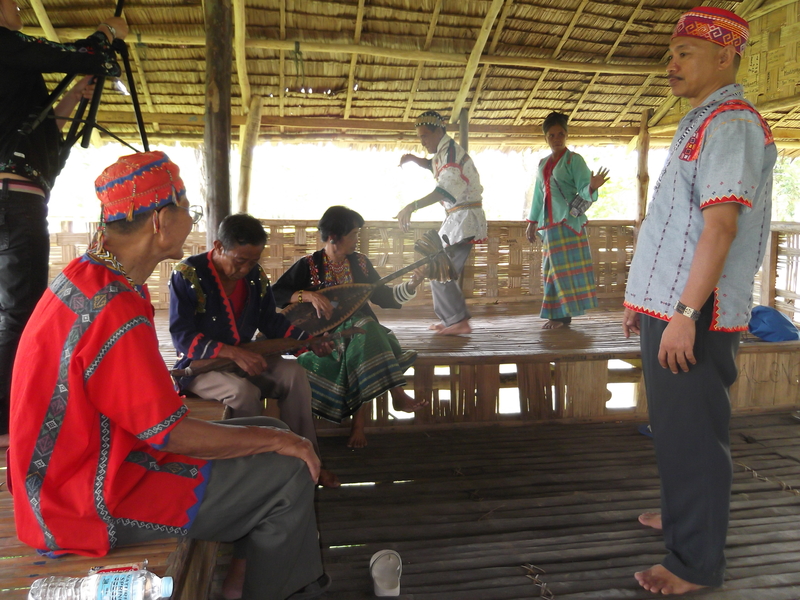 One of the concerns of Datu Onlos is the preservation of Mansaka music. He commented that the younger generation nowadays hardly appreciates their traditional music. After transcribing several Mansaka songs (dawot) and instrumental music, I discovered that most of their music was constructed in pentatonic scale (a scale consisting of five tones), which is the main characteristic of Asian music. Chanting is a common practice in Mansaka’s style of singing. Ornamentation of the melodic lines is also common both in singing and playing instruments. In instrumental music, the rhythm is set for each kind of music with regular beat and meter. Oftentimes, each instrument plays with a variation of the basic rhythm. The tempo is set from the beginning and it is the same tempo throughout the entire performance. The dance steps correspond to the beat. A change in dynamics will also indicate changes to their movements. For softer sound, their movement is fine, slow, and subtle. For louder sound, there are bigger, faster and sometimes wild hand movements and footsteps. The indication of a sudden change of the dynamics level from soft to loud is called lugoy. Some pieces are strophic form, binary form, and through-composed. However, depending on the ceremony and occasion, the performance may last for several days. For example, in the wedding and harvest ceremonies, the celebration may last for weeks. Even in dawot, the singer can sing stories about their history and ancestors endlessly. It was a fulfilling research. Datu Onlos and the rest of the staff of the Tagum City Federation of Barangay Tribal Council were very supportive and made sure that I received what I needed. It was sad news though when I received an email recently that Datu Onlos passed away on July 23, 2014. Indeed, he helped me so much with my research and so I would like to dedicate my dissertation to him. Joy Marfil is a PhD student in Music at the University of Hawai’i at Mānoa. She is the first recipient of the Belinda A. Aquino International Philippine Studies Endowment. This research is conducted toward her PhD dissertation. Thanks for sharing! This was very interesting for me. It is sad that this may be a culture that will eventually fade lest some people, like yourself, take interest in recording and preserving their rites and rituals. More power to you, Bia Joy! Congratulations Ning for your very nice report. Thanks to The Lord. I would like to express my appreciation to you for sharing this with us, and how much I enjoyed your report and pictures. Learned a lot from them, great job Joy!